If I could only write one post, with the most important and most powerful message I could give, this would be it. If Jesus was leaving this earth to ascend to the father and he had only one important message to give, this would be it. This post and the truth in it when applied to your life will change everything you know. Everything in your life….. how you see the world, how you make your decisions, how you spend your money, who you marry, where you live, what you say…. all of that will change dramatically, if you read and apply this truth to your life…… so here it is. With the same urgency that Jesus had when he was getting ready to leave this earth, here is the word that he is burning in my heart today! I never intended for you to take this journey without my power. I never intended for you to attempt a Christian life in your own strength. I never intended it to be that way at all. Today I have a question for you. 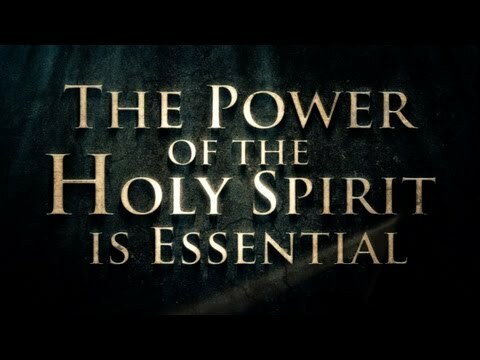 Have you experienced the power of my Holy Spirit in your own life? Have you not only allowed the Holy Spirit of God to take up residency inside of you, but have you given my Spirit supremacy over all. Have you given me permission to move from the living room of your heart into your whole house, even the secret places that no-one else knows about. Have you asked me to empower you with my power, the same power that raised Jesus from the dead? If not, why not? Why bother with the Christian life if you have no power to live in victory? Today is the day that I will change everything. I will change everything if you let me. Ask me to open your spiritual eyes so that you can see my hand moving and working around you. Ask me to open your ears so that you can hear my voice amongst the chaos of this world. Ask me to give you a passion for what I am passionate about. Ask me to break your heart for the things that break my heart. Ask me to give you the courage to walk on water. Receive my forgiveness and forgive others. Let me pull out the roots of bitterness that run deep in your heart. Ask me to fill your mouth with a new song and to touch your lips with Holy Spirit fire. Be not only filled with my Spirit, but let my Spirit flow through you to this hurting world. I have a fantastic adventure planned for you. I will take you higher than you have imagined and further than you dreamed possible. I will use you to speak life into others and to bring them to Jesus. I will use you in mighty ways to bring healing, deliverance, hope, and victory to those around you. Will you let me use your life? Will you let me empower you? Will you take a chance on that kind of life? Today is the day. Father God pour out your spirit on your people. Fill us with your power. Change us from the inside out and help us to learn how to tap into all your resources, gifts, and abilities. Bring healing to our hearts. Deliver us from the lies of the evil one. Raise up your people to be powerful spirit-led warriors for your kingdom! Release your Spirit within me. I give you full permission to live and reign in me. I give you permission to put a new song in my heart and pour out new words from my lips. Fill me to overflow, Lord, with your Spirit and use me for your glory. I want to be transformed! Transform me by the power of your Holy Spirit. I give you permission to work creatively in my life and to use me to accomplish your plan. I am yours. Fill me to overflowing, pour through me like a mighty river, empower me with the same power that raised Jesus from the dead. This is my heart’s desire.